Kathy is also the founder of Creative Visions Productions, which has produced award-winning films including Dying to Tell the Story, a TBS special about the frontline correspondents hosted by Kathy’s daughter Amy Eldon Turteltaub; Soldiers of Peace, a Children’s Crusade, a CNN film profiling the Children’s Peace Movement in Colombia, and Global Tribe, a cutting edge PBS series hosted by Amy featuring grass-roots creative activists. One “Global Tribe,” an interactive website, inspired the development of Rock Your World, a common core curriculum that engages middle and high school students in local and global issues. Together with Julia Roberts, she exec-produced Extraordinary Moms, a special for the Oprah Winfrey Network (OWN) about the power of mothers to transform the world that featured then-Secretary of State Hillary Clinton, Rosie O’Donnell and Christiane Amanpour. After many years of development, The Journey is the Destination, a feature film about Dan, directed by Bronwen Hughes (Harriet the Spy, Forces of Nature, Stander) had a gala premiere at the Toronto International Film Festival in 2016 and is available on all streaming video on demand platforms (Amazon, Netflix, iTunes). 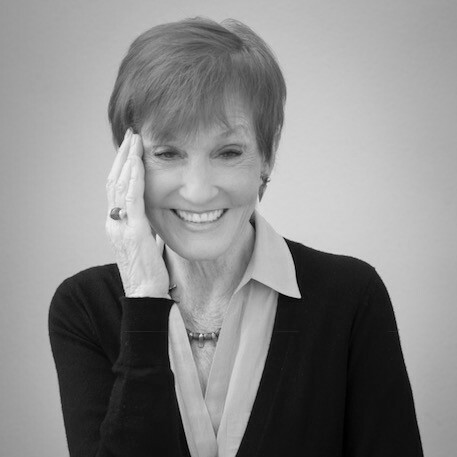 Kathy is the author of 18 books, including Angel Catcher, Soul Catcher and Love Catcher (Chronicle), a series of popular self-guided journals written with her daughter Amy Eldon Turteltaub that help people negotiate loss and grief, find their purpose and introduce more love in their lives. Kathy edited the acclaimed collection of Dan’s journals, The Journey is the Destination: The Journals of Dan Eldon (Chronicle), and has also written a variety of popular cookbooks, eating out guides and children’s social history books. In 2013, Harper One published her memoir In the Heart of Life. Kathy has been profiled in a number of books, including Arianna Huffington’s “On Becoming Fearless,” “Those Who Dare: Real People, Real Courage” and “Fearless Women.” Kathy was named one of MSN’s “10 Amazing Women You Have Never Heard Of,” together with Nobel Peace Prize winners Wangari Mathai and Jodi Williams. Kathy was given a Euro-American Women’s Council Artemis Goddess Award for her work with young creative activists, and named a Civic Ventures Purpose Prize Fellow. On Nelson Mandela’s Birthday in 2013, Kweku and Ndaba Mandela nominated Kathy for the George H.W. Bush “Points of Light” award and in February 2014, Kathy was awarded a grant of $25,000 after being named the winner of the Unite4Humanity’s Inspiration Award in the Arts at a ceremony in the presence of President Bill Clinton. Kathy has been featured on countless television and radio programs globally, including several appearances on Oprah and segment on Oprah’s “Producer’s Favorites.” A popular speaker, she hosts “Caught in the Act,” a Huffington Post video blog that features dynamic creative activists. Born in Cedar Rapids, Iowa, and a graduate of Wellesley College, Kathy has worked as a teacher, journalist, author and film and television producer in England, Africa and the United States. In 1997, Kathy launched Creative Visions Foundation, a global organization that supports “creative activists” who use their creative talents to change the world around them. CV was inspired by the life of Kathy’s son, Dan Eldon – artist, adventurer and activist – killed in 1993 while on assignment for Reuters News Agency in Somalia. Kathy lives in Malibu with her husband Michael Bedner, next to the Dan Eldon Center for Creative Activism, a vibrant hub for individuals who want to help change their bit of the world.